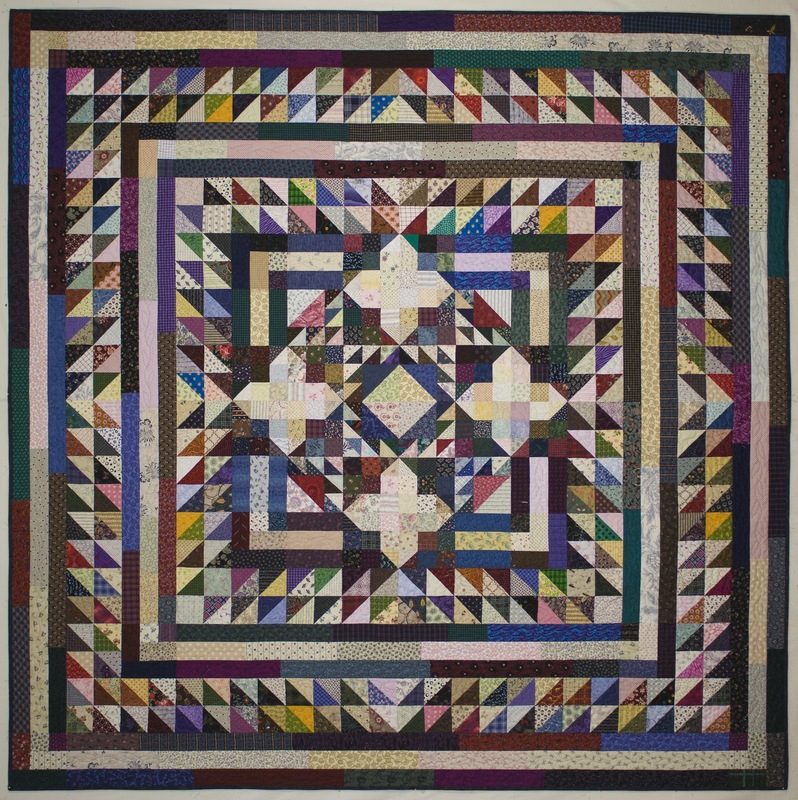 I am assuming that most of you that are visiting came from the McCall’s blog so I decided to share another one of my medallion quilts. 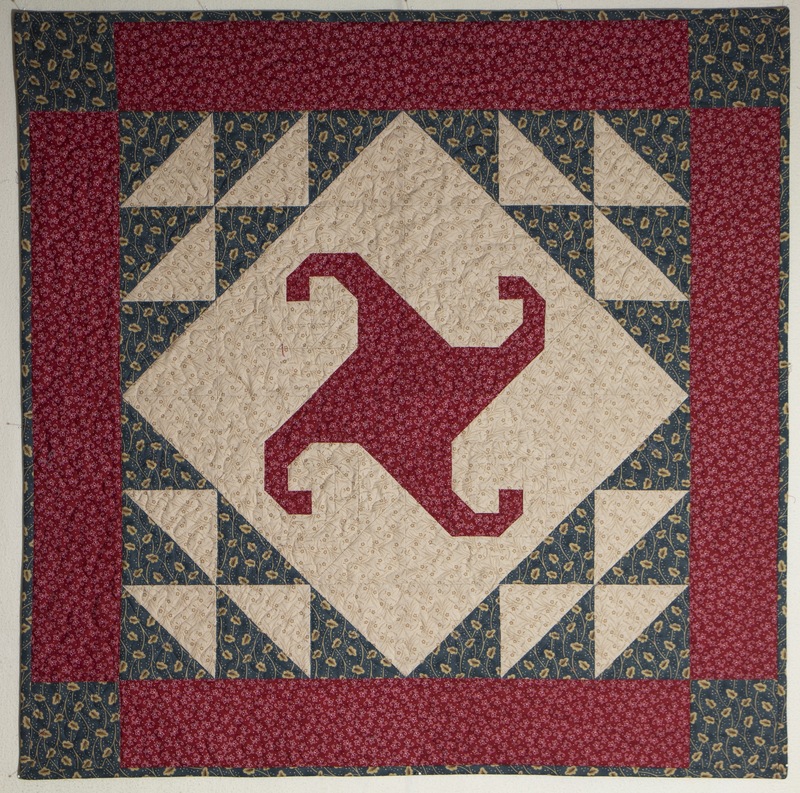 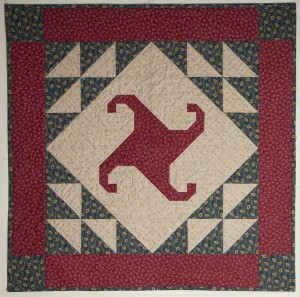 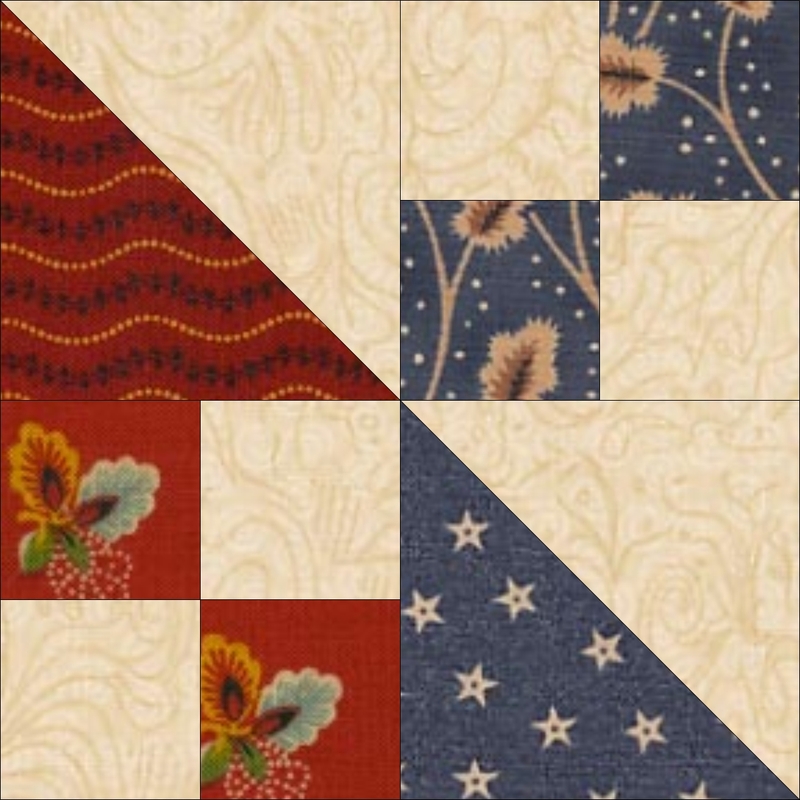 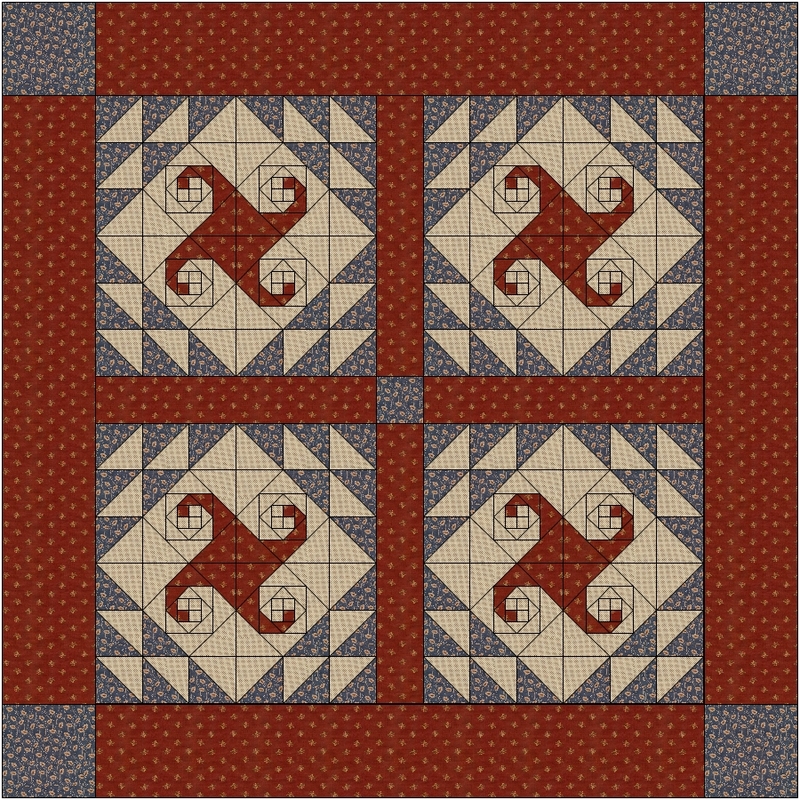 This one was in “American Patchwork and Quilting” on page 34 in the August 2014 issue. 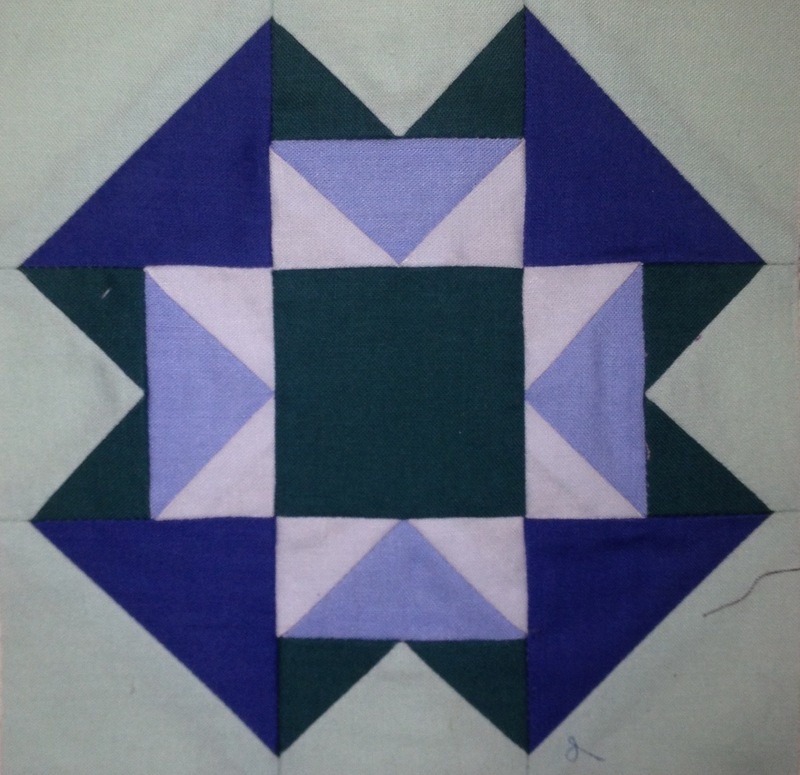 When I start a new medallion quilt I begin by playing with the center. I have no idea what the end result will be. 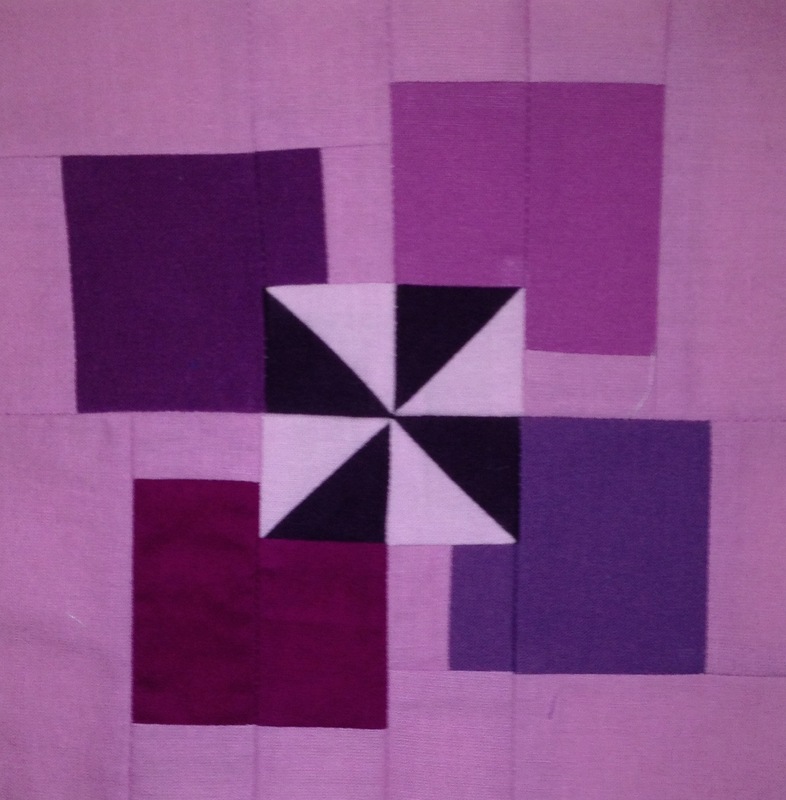 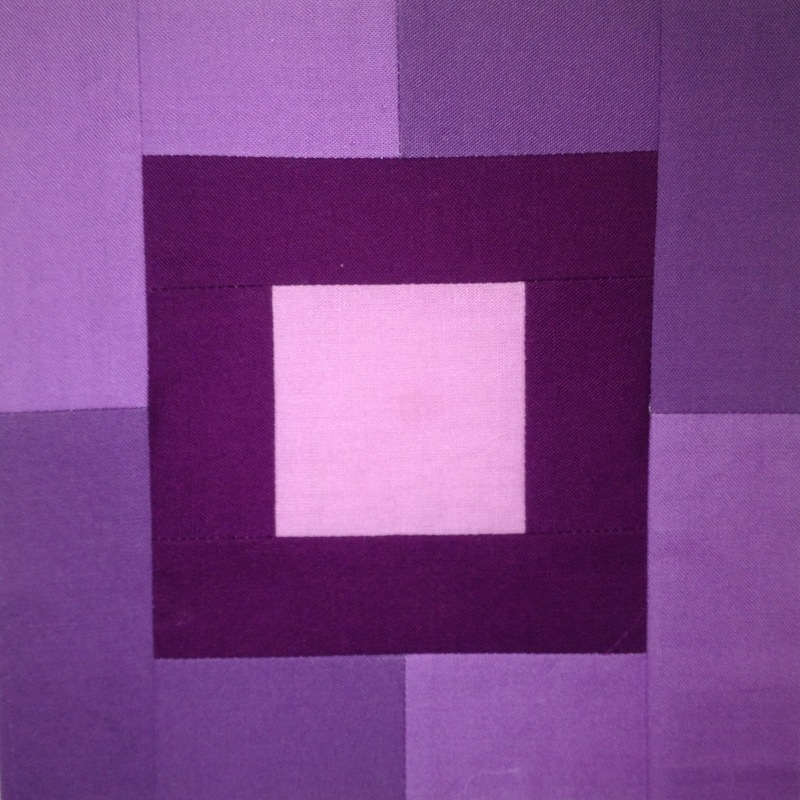 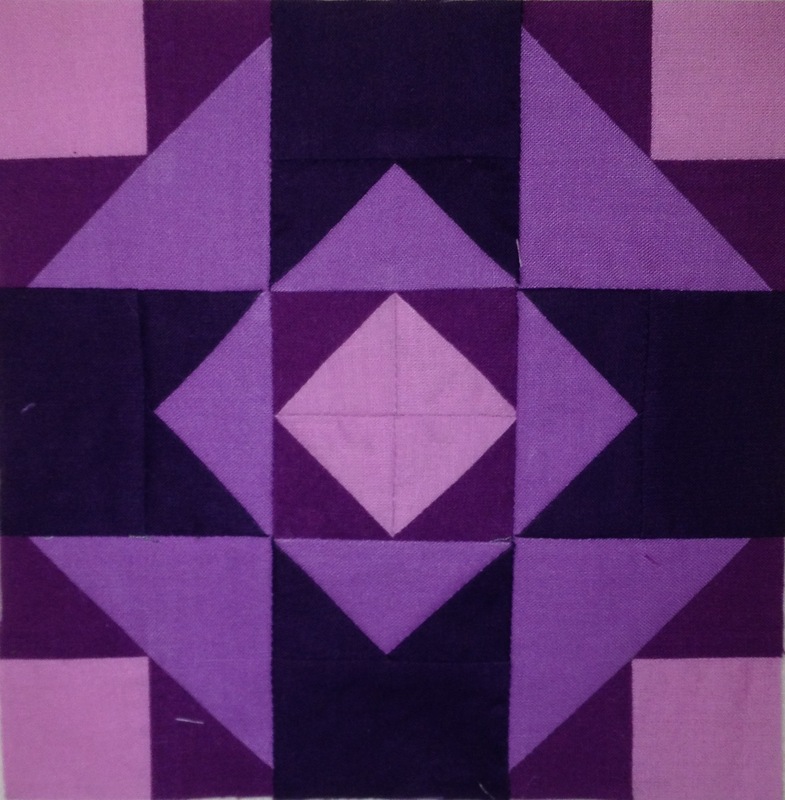 This quilt started with leftover blocks from trades and other projects. 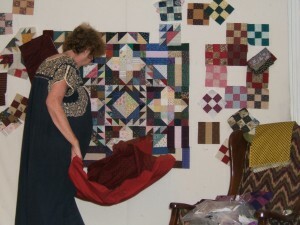 In the picture below you can see me playing on my design wall. 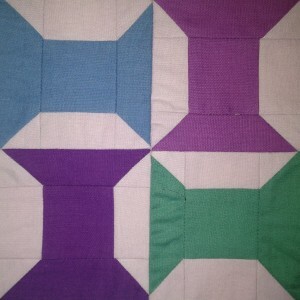 There are blocks that I thought I might use but didn’t seem to work. I was considering a red border but if you look at the finished quilt you will see this didn’t happen. 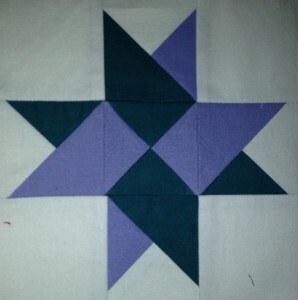 blocks I made to turn the corners. 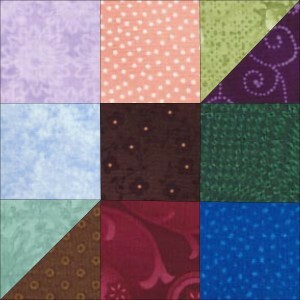 I have a box of 2 1/2″ strips that came in handy for the pieced strip borders. I don’t cut my stash into certain size pieces but if the fabric is pressed on the cutting mat with a clean edge and there is less than say 5″ left I will cut 1 1/2″, 2″ and 2 1/2″ strips. Often when I visit a quilt guild a member will bring a quilt they have made using one of my books or started in one of my workshops. 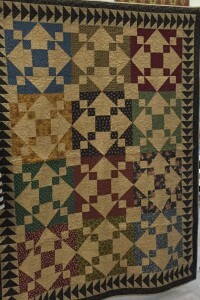 Ann Rice brought this wonderful quilt to the Beaumont meeting. 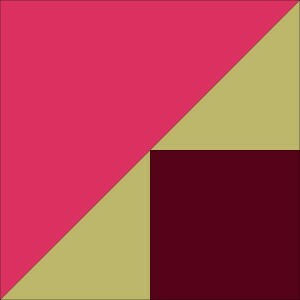 I was delighted. 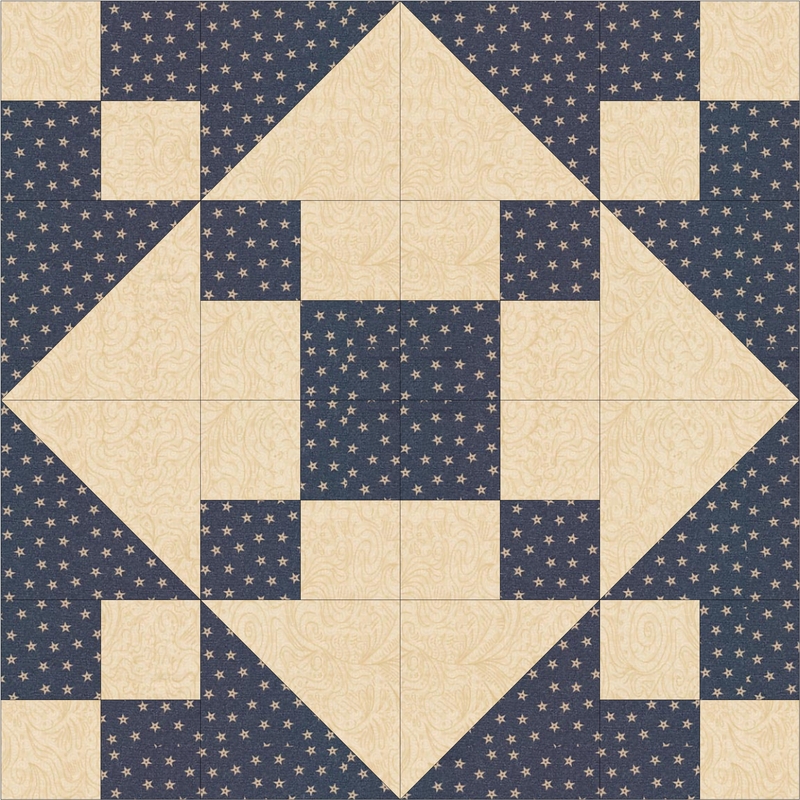 This is the first time I had seen the blocks made in identical sets of four. 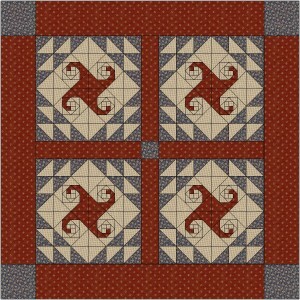 Great flying geese border!!! 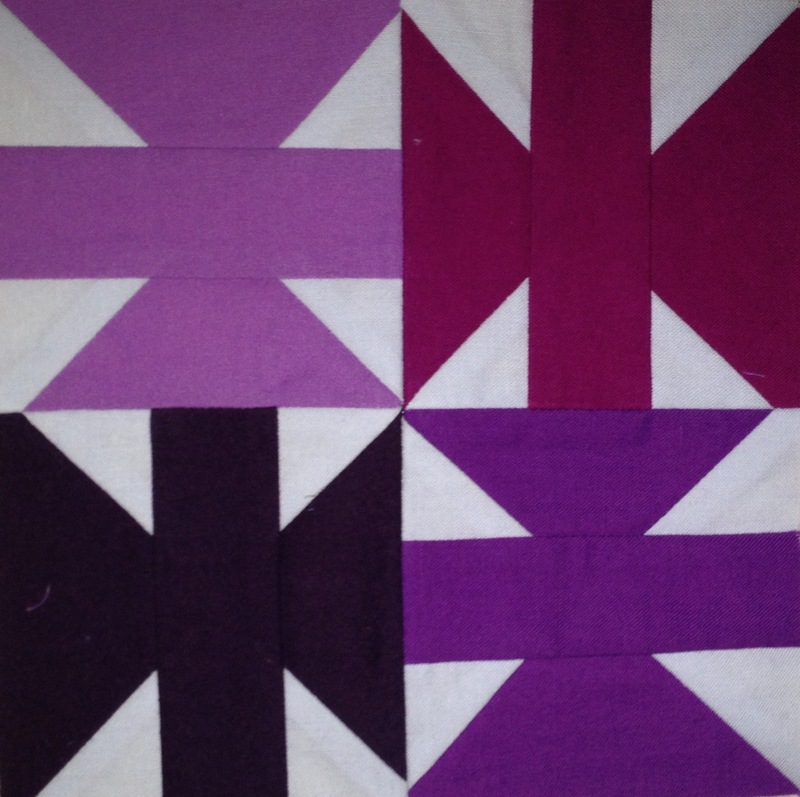 Shown below are four identical Texas Two-Step blocks arranged as they are in the quilt above. 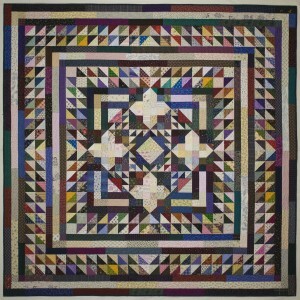 Ramona Johnson started this quilt in a class I was teaching on a cruise for Stitchin’ Heaven. 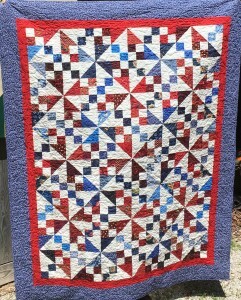 She brought a wide variety of reds and blues along with a white background fabric. 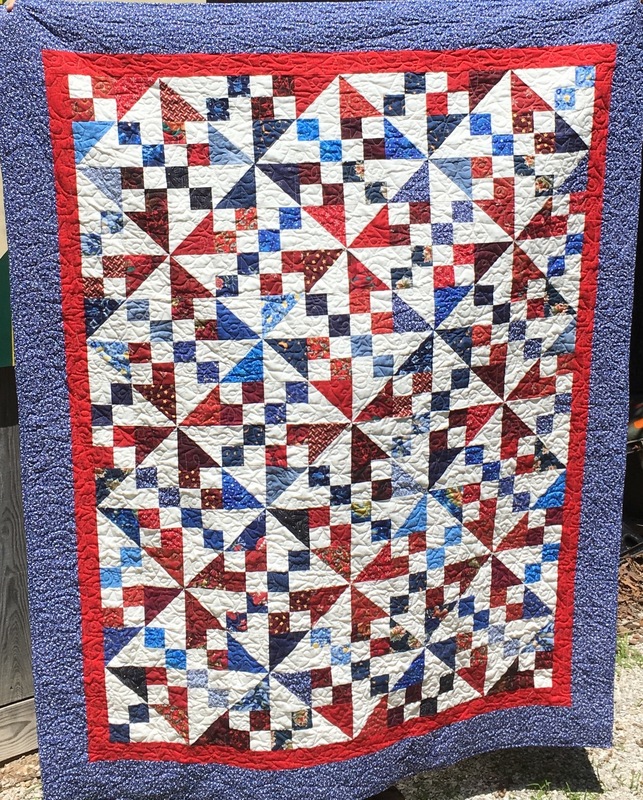 I had never tried to make a three color Texas Two-Step. 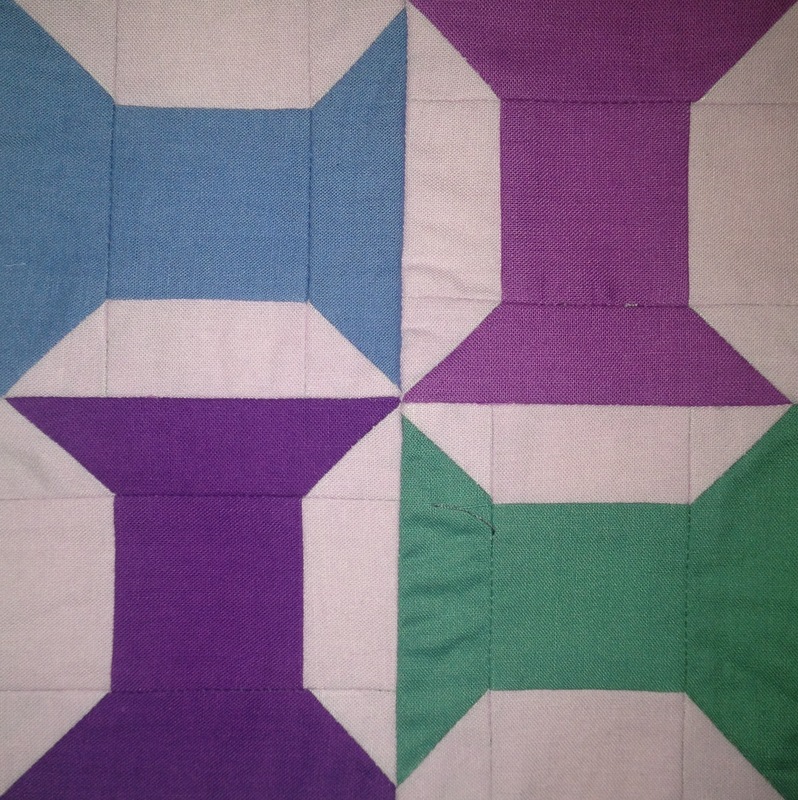 Ramona figured out how to arrange the units in the blocks so she would get red and blue pinwheels where the blocks meet. 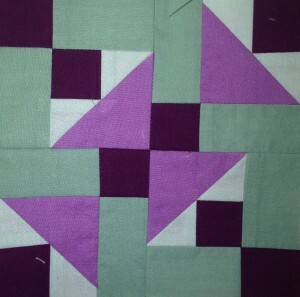 I am delighted when I learn things from my students. 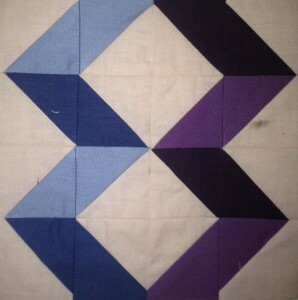 All of the blocks have the red and blue fabrics in the positions shown below. 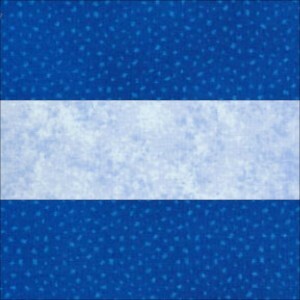 This is my new pattern, CLPLRB002, from Cut Loose Press. 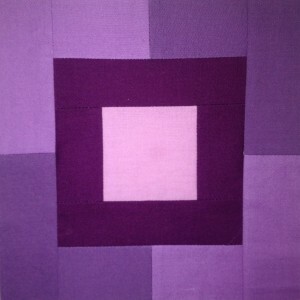 It uses Creative Grids ruler CGRJAW8. The quilt Spinning Snails / Happy Trails from my 3/11 post uses the same ruler. I love the alternate middle pattern that is created when four of the units are combined with sashing. 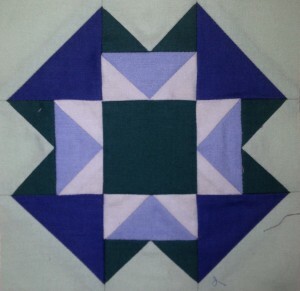 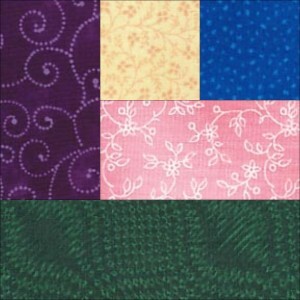 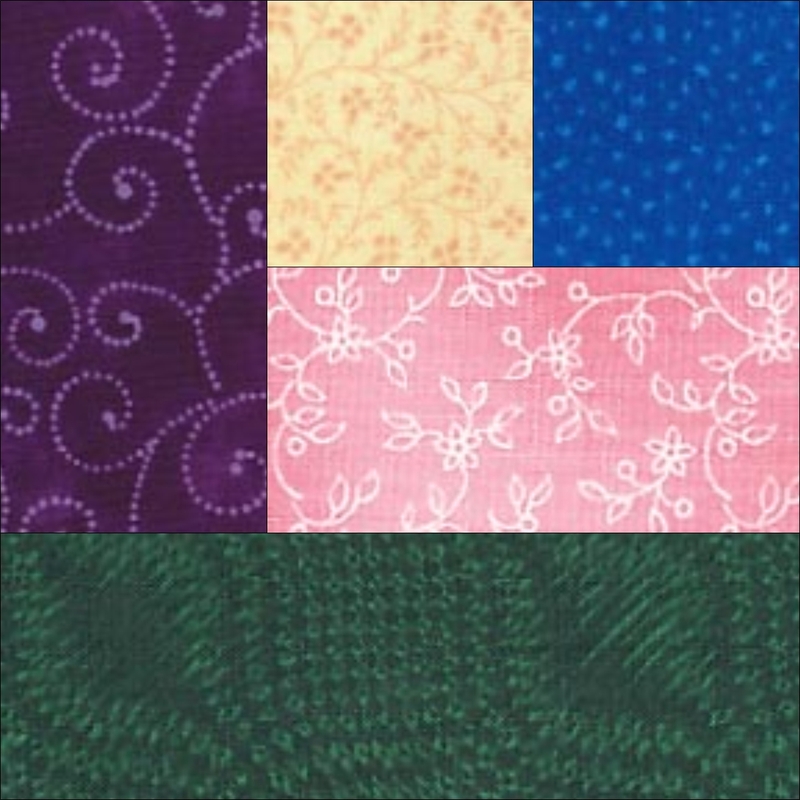 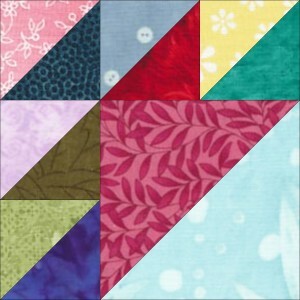 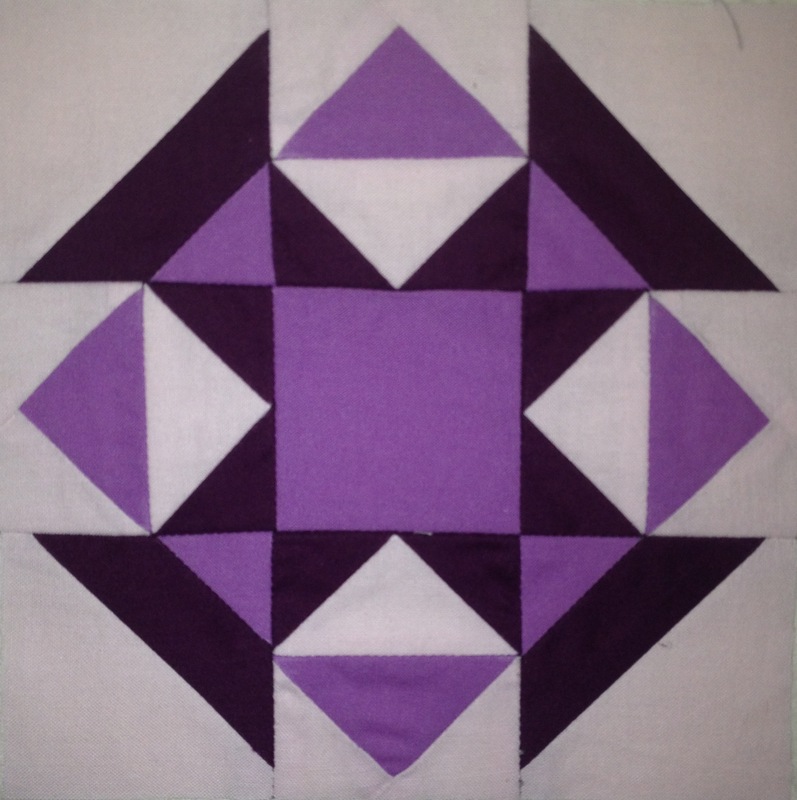 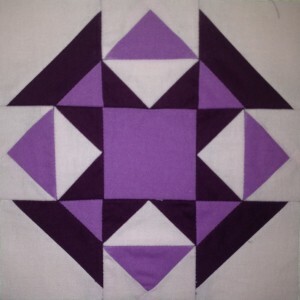 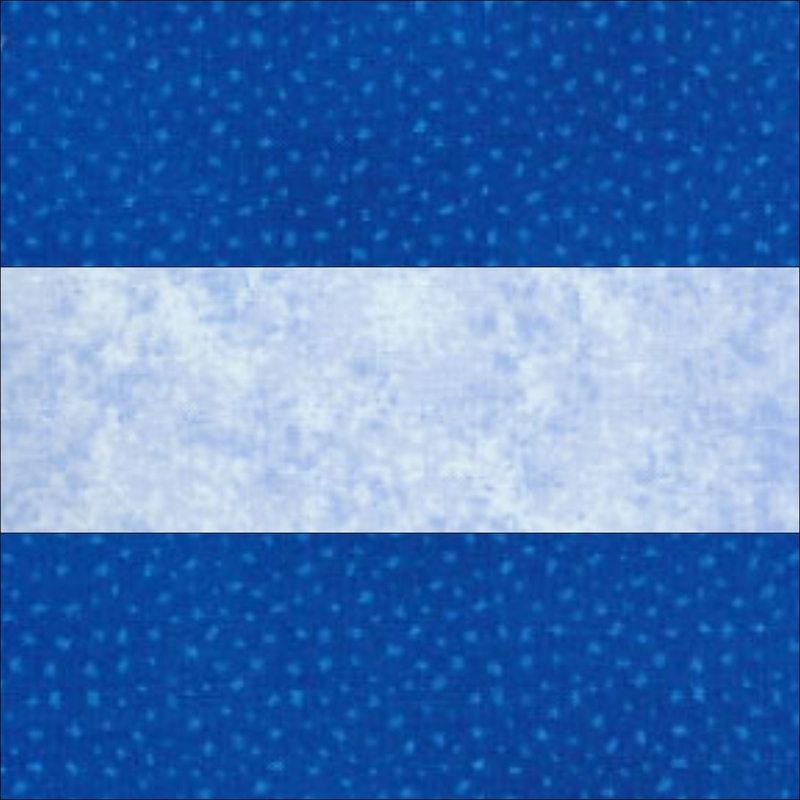 Depending on the size of the sashing and borders this quilt will measure about 72″ square.